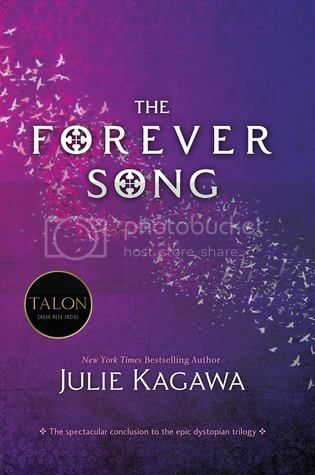 Julie Kagawa has managed to amaze me once again with The Forever Song, the dark, disturbing, amazing conclusion to the Blood of Eden series. I was SO super excited to get my hands on this book. It is one of my most anticipated reads of 2014, if not THE most anticipated read for 2014. After much stalking, I was finally able to get my hands on an advance copy, and thank goodness for that, because I really couldn’t wait a moment longer to read this book. I have adored this series since I started reading the very first book. While I am sad to see the series end, it is definitely going out with a bang! ** This will be a spoiler free review. Allison has been one of my most favorite characters since the beginning. She is not one to be trifled with; she knows what she is and what she has to do to keep from becoming a monster. She is so very strong and stubborn; she really is one of my most favorite characters ever. I have loved all of the characters throughout this series. Kanin, for being a wonderful, albeit very mysterious master to Allison, I can’t imagine her being who she turned out to be without his help. I love Kanin so very much. In the beginning of the series, it was Zeke that showed Allison that she wasn’t a monster, even when everyone though that she was. That made a huge impact not only on Allison’s character, but to me as well. I loved Zeke. Even Jackal holds a place in my heart. In his dark, twisted way, he also managed to share some wisdom with Allison. All of these people helped Allison become this amazing character that I absolutely adore. 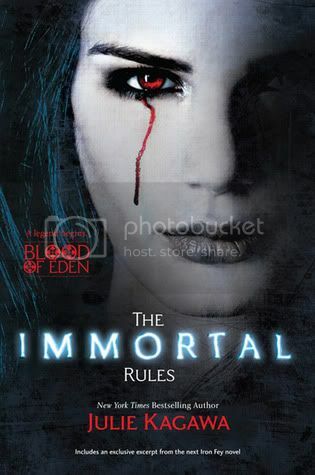 The storyline for this book (and series) was so dark and twisted; it’s definitely a change of pace from the normal. There were quite a few plot twists that totally weren’t expected. Actually, I anticipated one thing that did happen almost halfway through the book, but I didn’t know how or when it would happen. I was pleasantly surprised with how this twist turned out. The end of the book had me tearing up quite a bit. I enjoyed the story and the characters so very much. I was a bit terrified to see how the book was going to come to an end, but I can’t imagine it being any different. It was perfect. 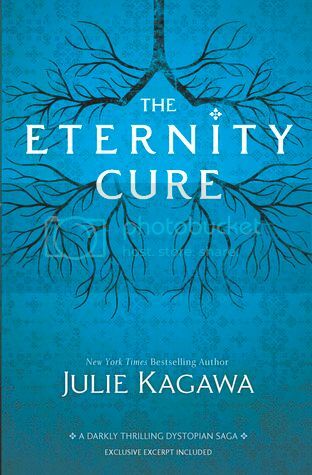 It amazes me how Julie Kagawa can go from writing love stories about fae, which I adore, to writing things that are so twisted and disturbing like in this series. I love when a writer is so super creative, and they allow us to see the many different sides of themselves. Overall, The Forever Song was an excellent addition and conclusion to the Blood of Eden series. I am really going to miss all of the characters in this story; I’ve come to love them all so much. If you haven't checked out this series yet, I definitely recommend that you do so! I really can’t wait to see what Mrs. Kagawa has for next for us in the future! OOoh nice review!! I love Julie's books as well and was positively gaga when Netgalley approved my request, but alas, I was in the midst of starting a read and I am never one to stop one book for another. Just not built that way, but this is soooooooo next on my reading queue!! Great review! Cannot wait to see how it all ends!! Ooh, yay! I just got this one so yayayay! I do love this whole world, though there have been times I wish that Zeke would get eaten (yeah, I know you like him but he annoyed me. Maybe that will change!). I can't wait to read this book myself. I'm really looking forward to reading this one.